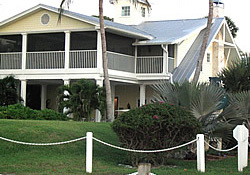 The Bokeelia Tarpon Inn is located at the northern tip of Pine Island on scenic Charlotte Harbor in SW Florida. We are just a short drive, or boat ride, to Fort Myers, Cape Coral, Boca Grande, Sanibel, Captiva, Naples, and the Gulf of Mexico. Built in 1914 the home has been lovingly restored to retain the grace and comfort of the original home while providing today's amenities for our guests. 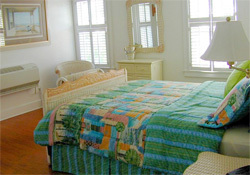 Each room has a queen bed with private bath and comes with hors d\'oeuvres and wine each evening and full breakfast each morning. We can arrange for fishing charters, nature cruises or trips to the outer islands of Cayo Costa and North Captiva. Golfing is available nearby. 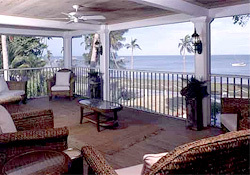 Stroll the island art galleries and gift shops or just enjoy the day reading or watching the world pass by from our relaxing and comfortable balcony. 1 Red, 1 orange, 1 yellow pepper. 1 bag frozen diced potatoes.